This High Quality Instructional Driving Video is designed to work along with your driving lessons to help new drivers learn proper driving techniques. Basic driving maneuvers are performed correctly step by step, with visualization from both inside and outside the vehicle. Visit our video page for further details. Save 10% on car insurance for 3yrs. 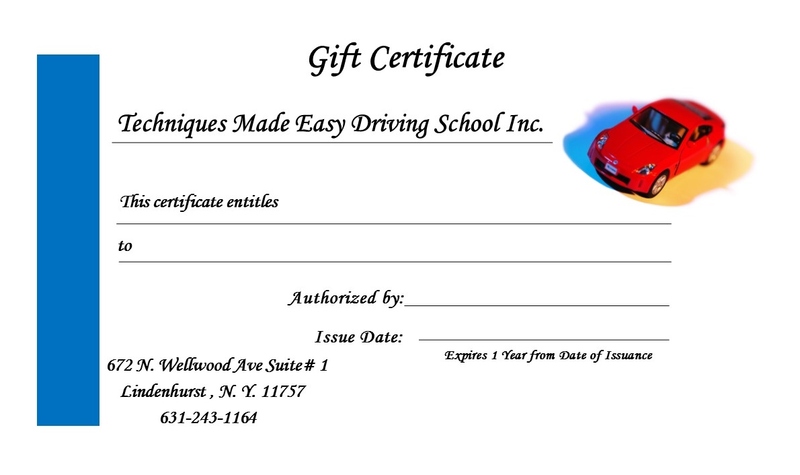 Techniques Made Easy has years of experience servicing Suffolk County drivers. We help drivers young and old with a variety of driving lessons available. One of our more popular services is focusing on road test preparation. A test every young driver needs to pass. For more information about all we offer, please contact us today. The number to call is 631-243-1164. We will gladly answer any questions or concerns you may have regarding our array of services.